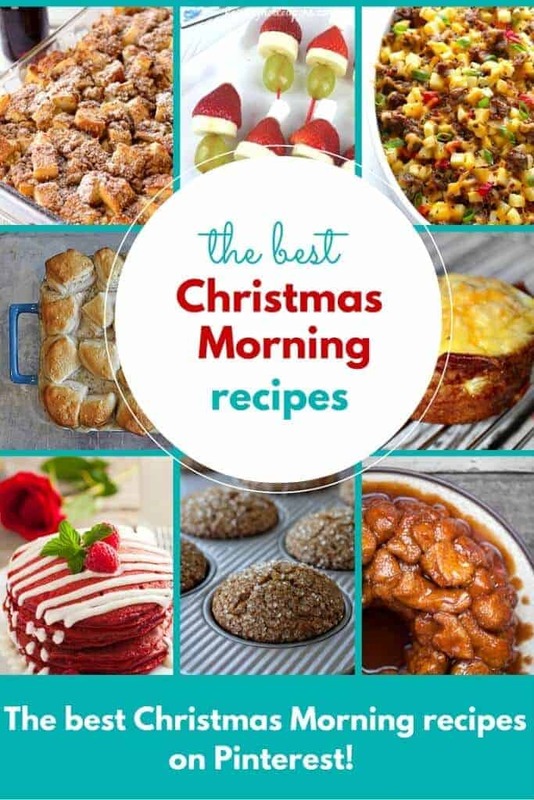 Delicious Christmas Morning Recipes that will make you forget all about the gifts! From breakfast casseroles to egg dishes to pancakes and french toast! Keep this list for all year long – so many great brunch recipes! I know, I’m Jewish, but boy do I have some amazing Christmas morning recipes to share with you today. These really are great for any occasion and for any brunch menu. 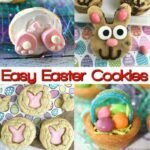 I’ve scoured Pinterest and found the top recipes and they have each been pinned tons of times! 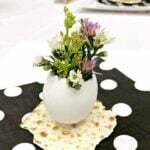 I am completely confident that you will see a few recipes that you’d like to include on your holiday table this year. Keep this list for throughout the year. I know I am always looking for new great brunch recipes! Who knew that you could make French Toast in an Instant Pot! This Instant Pot French Toast is going to be your new favorite brunch recipe! Why fuss with a casserole that will have to sit overnight when this can be ready in less than an hour! 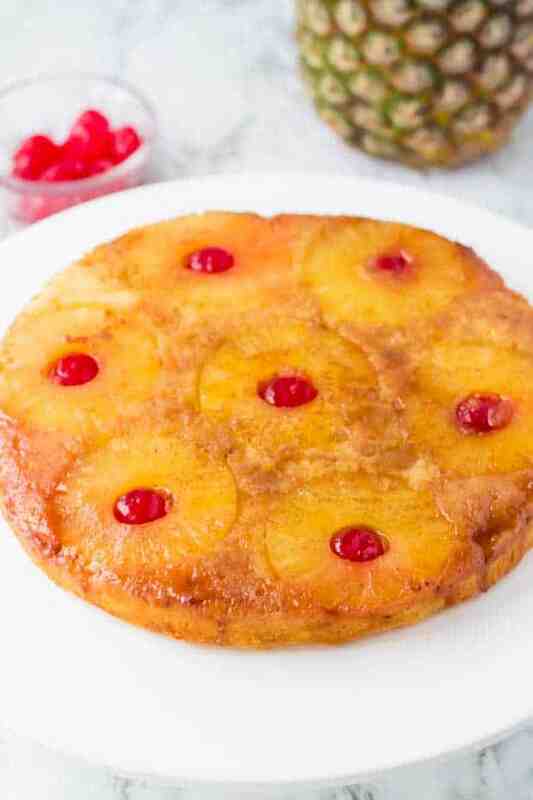 This homemade Pineapple Upside Down Cake made with an easy buttery and moist vanilla cake and topped with delicious caramelized pineapple topping and even a cherry on top. 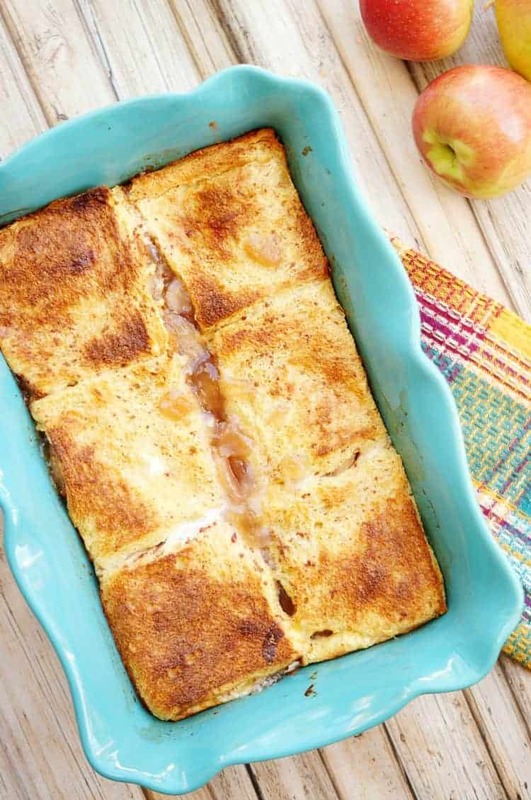 This Overnight Stuffed Apple Pie French Toast will have you actually looking forward to waking up in the morning! Delicious apple pie filling is sandwiched between brioche bread and then topped with a creamy french toast custard. You will make this fall recipe all season long! French Toast Bake by Lil Luna . Don’t feel like cooking on Christmas morning? 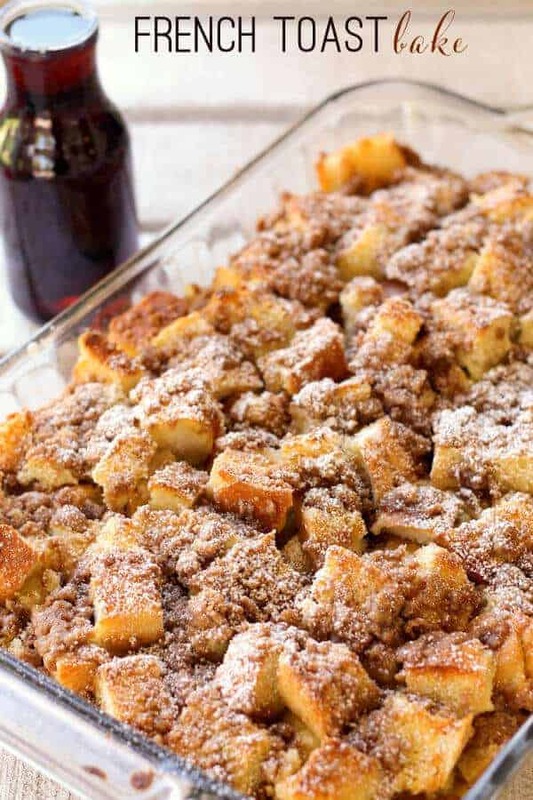 This easy french toast bake can be prepared the night before and ready to pop in the oven first thing in the morning! Your house will smell amazing! 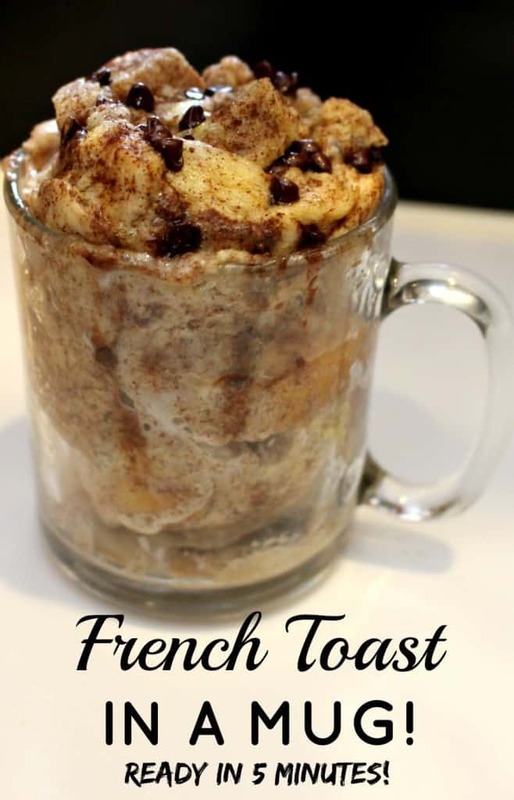 Speaking of French Toast…how about this quick and easy French Toast in a Mug! You don’t need a crowd to feed for this delicious french toast in a mug! The perfect breakfast treat for one or two of you celebrating a nice quiet Christmas Morning! Cheesy Breakfast Casserole by Gimme Some Oven .How about something a bit more savory? 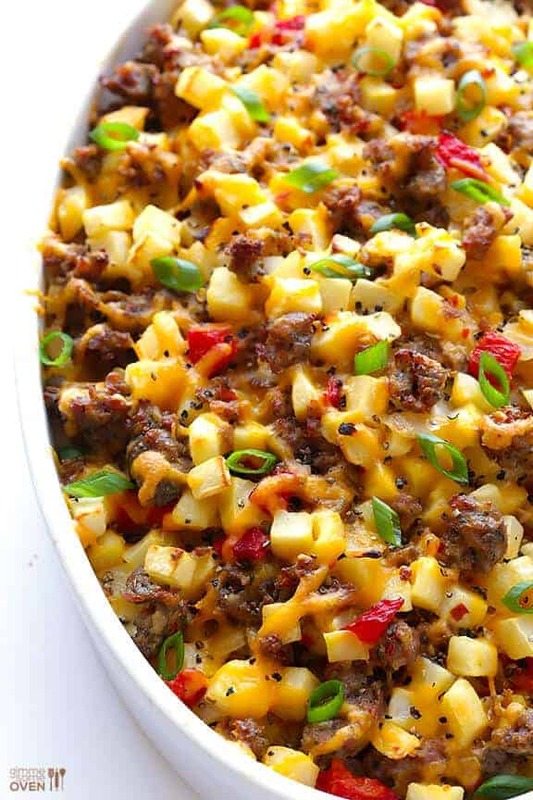 This cheesy breakfast casserole has sausage, pepper, onion and of course, cheese! This Monkey Bread Recipe is a family favorite. Not only is it super easy to make, but the cinnamon sugar and caramel sauce will also melt in your mouth. 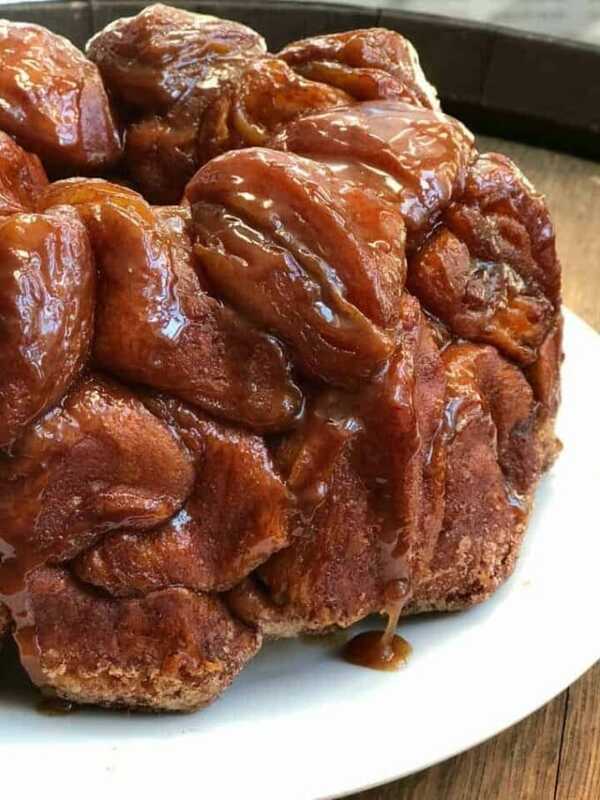 It is my favorite treat to sit down with a piece of monkey bread and a hot cup of coffee! 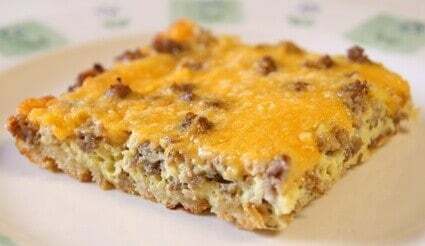 Easy Breakfast Casserole by Kevin and Amanda only needs four ingredients and is another on that you can prepare the night before and pop in the oven when ready to make! Crock Pot Cinnamon Roll Casserole by Recipes that Crock . If you are looking for an easy brunch recipe, look no further! 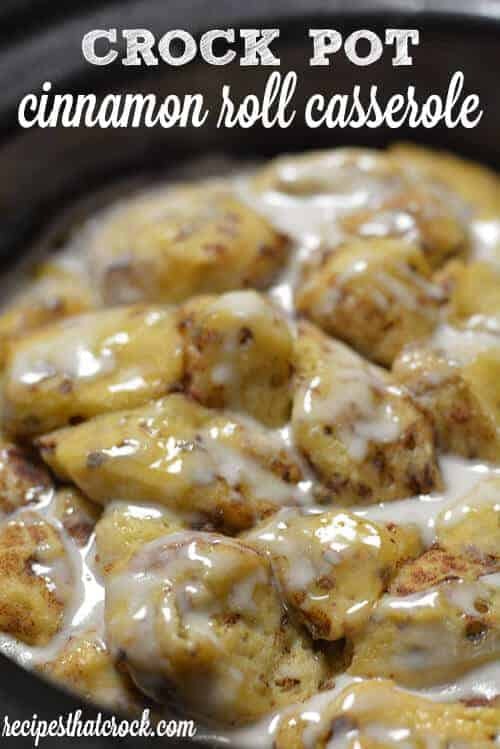 This one uses refrigerated cinnamon rolls and a crockpot! The hardest part is taking the rolls out of the can! While it does require about 2.5 hours in the crock pot – Your house will smell amazing! 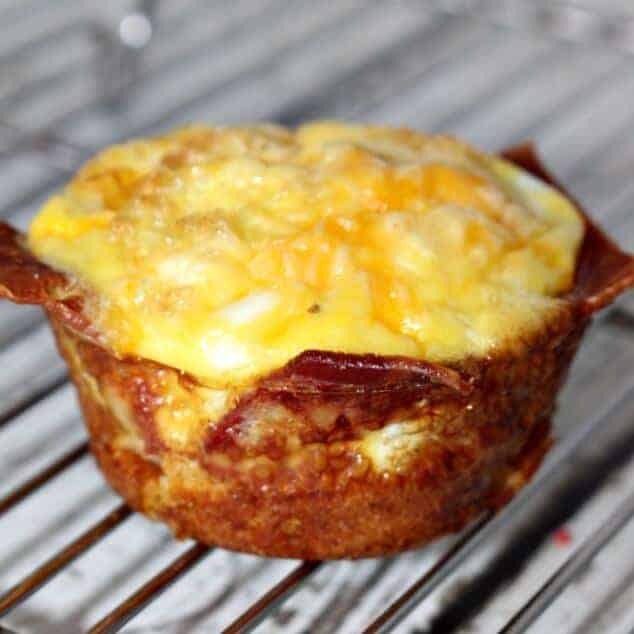 Bacon Egg and Cheese Bites by Princess Pinky Girl. These are actually a great weekday quick and easy breakfast as well. Whip up a big batch and throw them in the refrigerator! When you are ready to eat them, just pop them in the microwave for about 30-60 seconds! 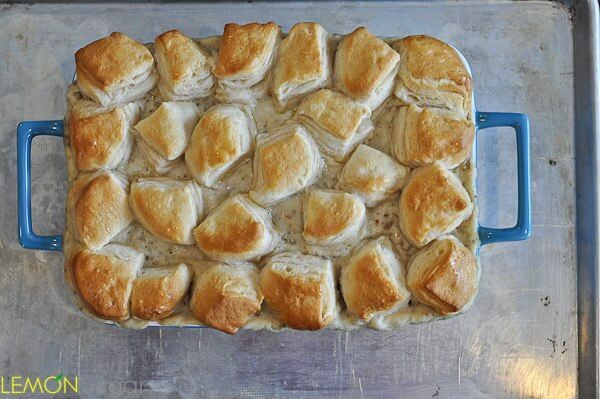 Biscuits and Gravy Casserole by Lemon Sugar .This is a classic recipe that is perfect for Christmas morning! Who doesn’t love some biscuits and gravy? Red Velvet Pancakes with Cream Cheese Glaze by Cooking Classy . 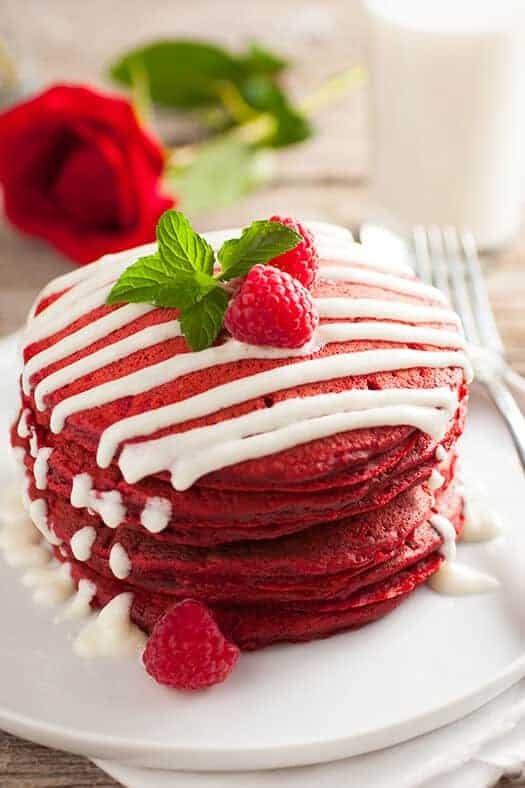 If you are a red velvet fan, these pancakes are not to be missed! Grinch Kabobs by Raining Hot Coupons . You know me, I looooove themed foods! 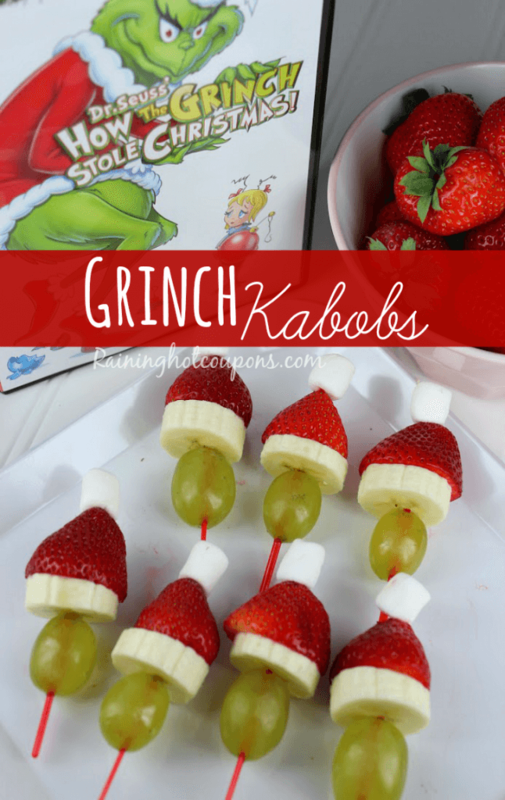 How adorable are these Grinch Kabobs? And the best part is, you won’t have to fight with your kids about eating something healthy on Christmas morning! Bakery Style Gingerbread Muffins by A Beautiful Bite . Gingerbread is synonymous with Christmas! 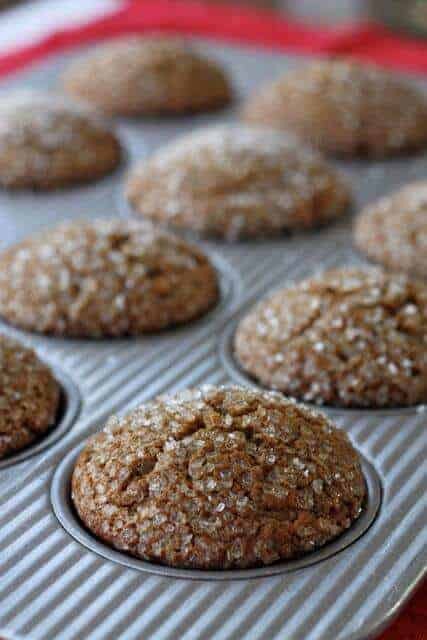 I love the creativity of baking gingerbread into an easy to eat muffin! Simple grab and go! 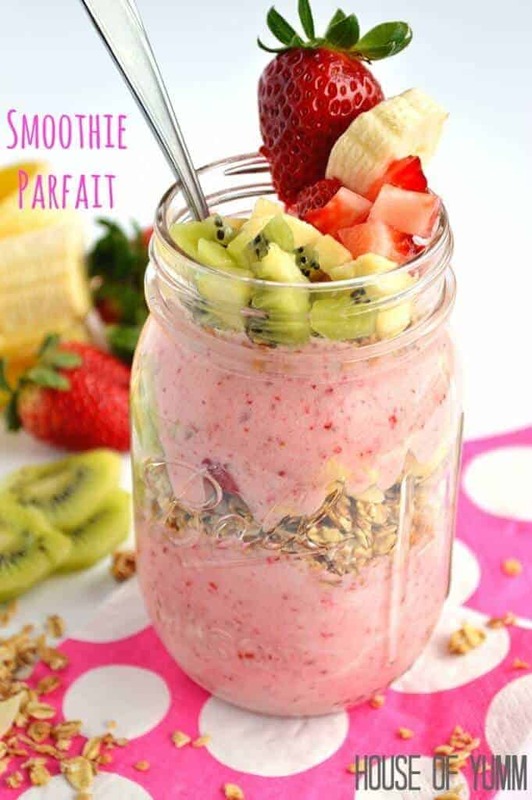 Smoothie Parfait by Princess Pinky Girl. If you are looking for a healthier option for Christmas morning, why not whip a few of these adorable and delicious smoothie parfaits in some mason jars. You could even take it a step further and make a smoothie parfait bar. Have all of the fixings lined up and let everyone make their favorite parfait! Less work for you and everyone gets exactly what they want! I loved your opening line telling us you’re Jewish yet you love Christmas. Can’t wait to try your recipes.